How can we unify workflow and create brand identity for a small office? 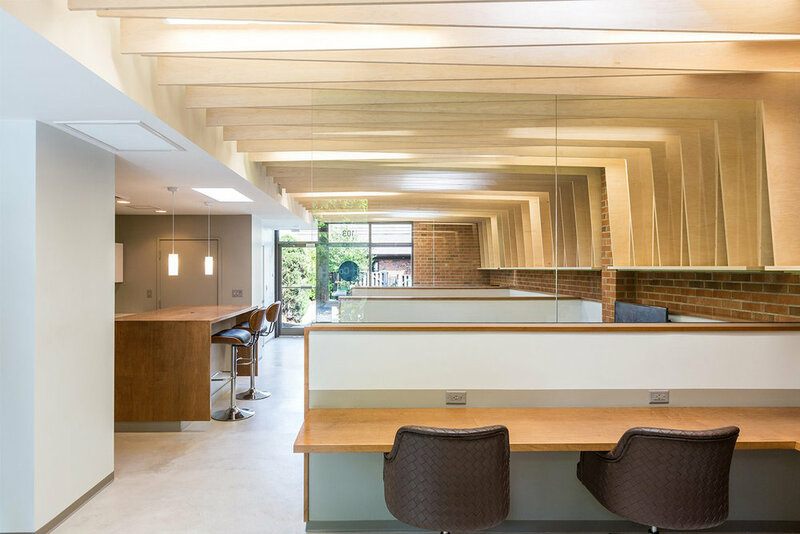 H-Co Properties approached us with a list of desired outcomes for their office renovation: enhance workflow function and efficiency, create community, define a cohesive brand identity, and represent professionalism. They are a growing group of on-the-move brokers with clientele in both single and multifamily markets. Our approach created a flexible semi-open office layout with distinct support and work areas. The materials used are uniquely assembled, but warm and familiar to residential clientele. 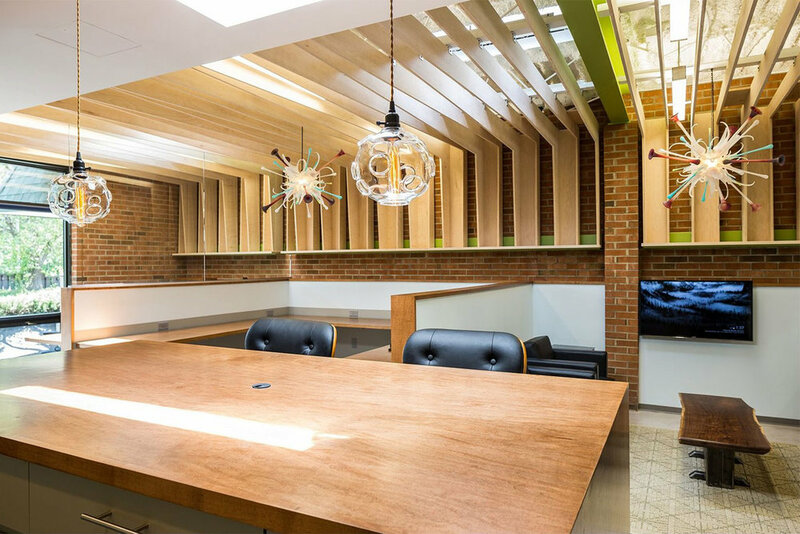 A custom wood fin ceiling unifies the workspace, baffles light and sound, and gives a visual identity to the office. Sustainable strategies and locally sourced materials were used. The kitchenette holds employee mail and a copy area to enhance community interactions in a centralized gathering spot. Flexibility for individual working styles are taken into account in formal seated desks, standing desks, informal soft seating, and the kitchen island. Smaller details such as color, texture, and consistent assembly techniques are used to create visual unity in every inch of this small office.